Just a couple of casting stories: Who is Keanu Reeves voicing in Toy Story 4? Who will play The Invisible Man? According to Movieweb, Duke Kaboom has been introduced in Incredibles 2 as an Easter Egg. A sharp-eyed fan spotted its action figure in Jack Jack’s crib. The Reeve’s character is like Evil Knievel but…well, Canadian. In the film, Buzz, Woody and the gang will meet Duke when they discover Bo Peep at a specialty store/a discounted toy store for quite some time after ending up at a yard sale. Bo Peep becomes good friends with Duke Kaboom because he helped her find her flock. Toy Story 4 will also introduce a new character in Forky (voiced by Tony Hale) and see the return of the all-star cast: Tom Hanks, Tim Allen, Joan Cusack (as Jessie), Jodi Benson (as Barbie), Michael Keaton (as Ken), Blake Clark (as Slinky Dog), Timothy Dalton (as Mr. Pricklepants), Estelle Harris (as Mrs. Potato Head) and John Ratzenberger (as Hamm). 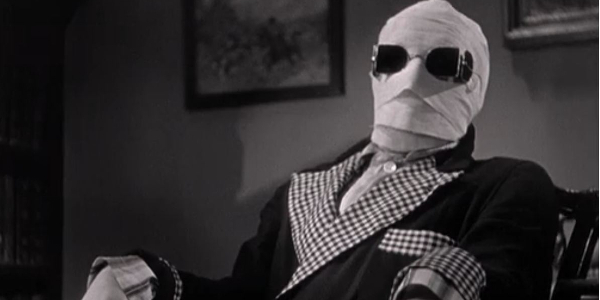 While Universal has tabled plans to build its “Dark Universe,” Jason Blum has been brought in to adapt The Invisible Man for a May start. News has dropped that Elisabeth Moss is being set for the role of Cecilia Kass as the actor search appears to be down to these two: Armie Hammer and Alexander Skarsgard. This suggests a significant change to the source material, as the character actually turns himself invisible in H.G. Wells’ novel. The Invisible Man will be written and directed by Leigh Wannell and produced by Jason Blum.